Follow Steps 1 – 3 below. Insert needle from right to left into the loop. Pull yarn to snug loop on needle. This is a variation of the Backward Loop ( or Backward e ) Cast On. It provides an elastic cast-on edge while providing a little more stability than the simple Backward Loop Cast On. 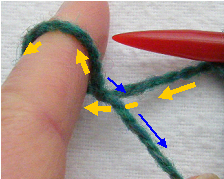 In this technique, the yarn is twisted as you form the loop. Repeat Steps 1—7.Keep tension even on subsequent loops. 6. Slide index finger out of the loop 7. pull on yarn tail to snug loop. 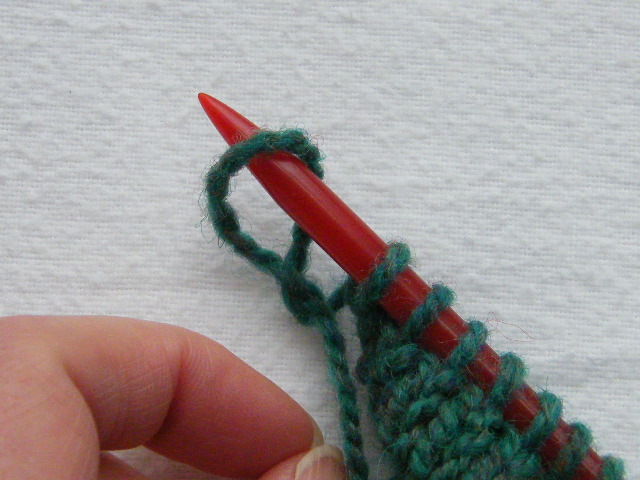 Once the loop is on the needle, snug it up by pulling on the yarn tail. 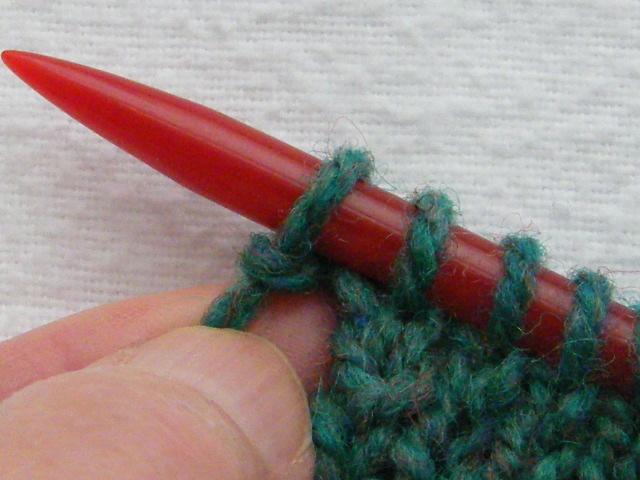 Be consistent in this snugging-up process to provide an even tension for the newly cast-on stitches.